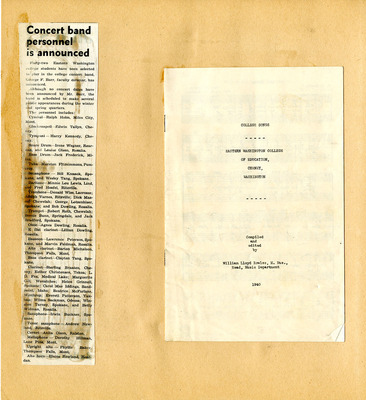 Magazine clipping: "Concert band personnel is announced". College songs booklet from 1940 compiled by William Rowles. You may view the full compilation of songs by clicking on the "Download" button on this page.